The Alps of Haute Provence are multiple. They are defined by their colours : the one so typical of lavender fields, those of ochres, as in the gorges of Roussillon and in Rustrel, or in azure blue. this pure blue of the sky of Provence. 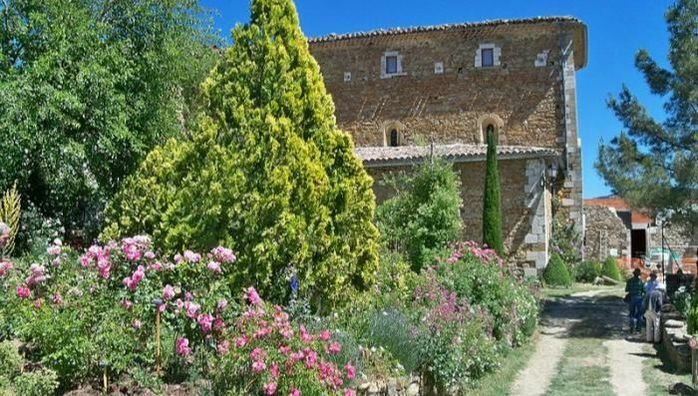 From aquatic discoveries (Lake of Esparron) to cultural visits (they are multiple), your steps will always lead you to a surprise because the Haute-Provence is unsuspected, full of resources, wonders to discover during this stay... and the next. This butchery who opened in 1992, is a family history where passion of craftmanship ist mixed up with the flavor of the region.You will find fine sausages of different flavors called "twigs" hanging of the ceiling of the shop as well as the real homemade chestnut cream. You will also find a wide range of other local products, especially cheese. You may want to buy everything. The big weekly Forcalquier market which contains more than 200 boothes aroundplace du Bourguet, place Martial Sicard et place Saint-Michel takes place every Monday morning. The farmer's market takes place every Thursday from 3 to 7 p.m. On y trouve une bonne vingtaine de petits agriculteurs et producteurs qui proposent des produits biologiques, naturels et locaux. Nombreux parkings gratuits aux alentours. It's in the middle of an oaktree park in the very heart of the Haute-Provence, wher the cheese dairy has been situated since 1958. 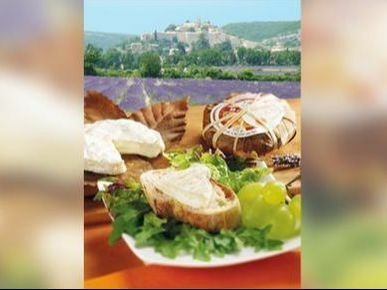 L'entreprise artisanale fabrique et commercialise le The crafts company manufactures and sells "Banon" cheese as well as a wide range of fresh and refined goat cheeses. to visit during your stay. 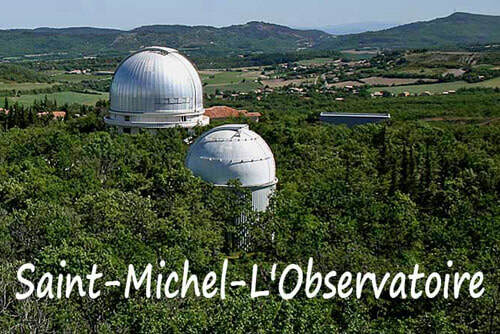 The Haute-Provence observatory is a part of the national organisation CNRS dedicated to research in astronomy, environement and athmosphere.It welcomes international scientists using its telescopes and other installations. It is also very active in teaching and training, and remains the only active observatory in the world which can be visited. 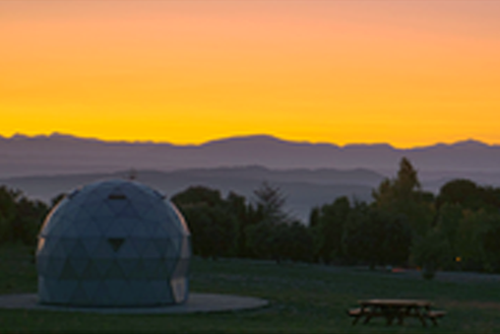 The astronomic center has been created to discharge the observatory and assures its mission to make science comprehensible for everybodyby welcoming pupils and tourists throughout the year. Un ocher site in Rustrel, in the heart of the Luberon. 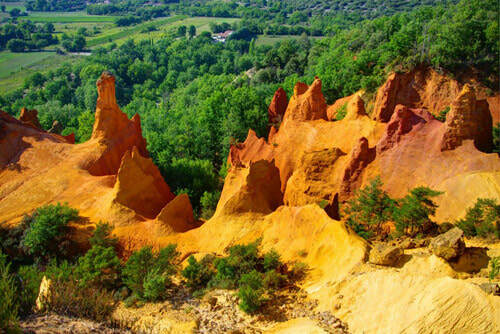 The provencal Colorado, or Ochers of Rustrel, is a semi-natural site, as it had been exploited since the 18th century up to 1992 when the last professional ocher retired. 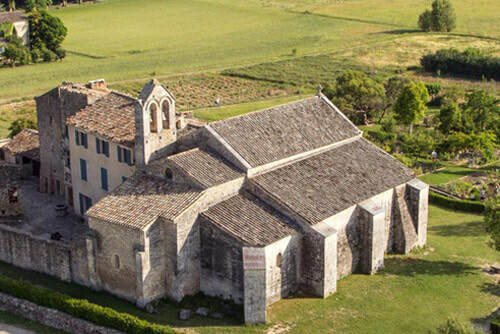 Classified in 1981 as historic monument, the church of Salagon constitutes, together with the Ganagobie monastery one of the most remarkable testimonies of medieval times in our region. ​Discover the monument, the museum, the gardens and more : the soul of a site enlightening the links between nature, history and Man. 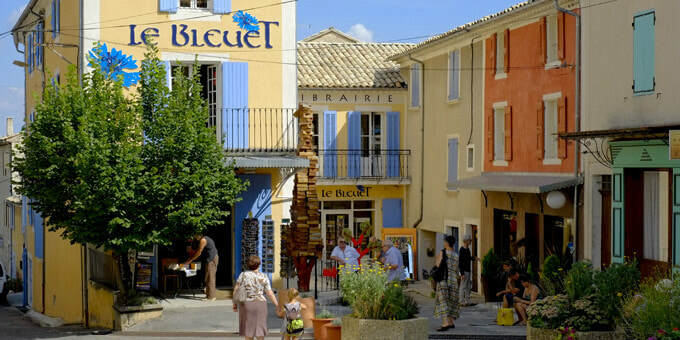 Le Bleuet is a bookstore founded in 1990 par Joël Gattefossé place Saint-Just à Banon. It is the biggest independent French bookstore in rural areas. A cozy atmosphere generaliste with literary works, youth, comics, fine arts, poetry and cinema. 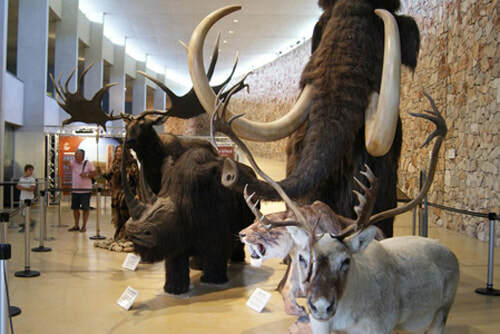 It is open every day (Monday to Sunday, holidays included) from10a.m. to 7p.m. , in July and August up to 8p.m. A garden, a church and a memory of menkind. At about 600 metres , au centre d'une vaste coupe naturelle appelée dès la plus haute antiquité « vallée de l'Absinthe », domine une terre sacrée de la Préhistoire à nos jours. Sur ce promontoire de grès se juche l'abbaye cistercienne de Valsaintes dans laquelle des moines vécurent du XIIe siècle jusqu'à la Révolution française.